From Small Florida businesses to large corporations, CTK INVESTIGATIONS, LLC provides complete access control and security systems for commercial, residential, industrial, financial, education and government institutions. 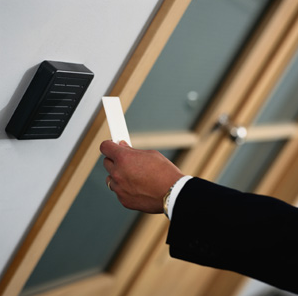 The main task of any properly designed access control system is to manage the flow of people, vehicles and even equipment in an area, building or office. Access controls allow individuals the ability to track users of the system with real-time reports and offers the flexibility of creating time schedules for a totally controlled environment. Gone are the days of making keys and changing locks when an employee loses a key or is no longer with the company. In general, Access Control eliminates many of the inconveniences associated with traditional lock & key systems so the long-term benefits are substantial. Well designed access systems should stop or at least slow down unauthorized entry and thus minimize the potential for crime. Additionally, an effective access control system can eliminate the potential for internal (employee) and external theft, a huge problem with business today. It is estimated that employee theft costs billions of dollars annually. Inadequate security measures contribute to the magnitude of a theft problem. People steal from companies that give them the opportunity to steal, and where they believe they can get away with it. Let CTK INVESTIGATIONS, LLC and our Florida access control experts put their experience to work for you and protect your doors and gates from unauthorized access. 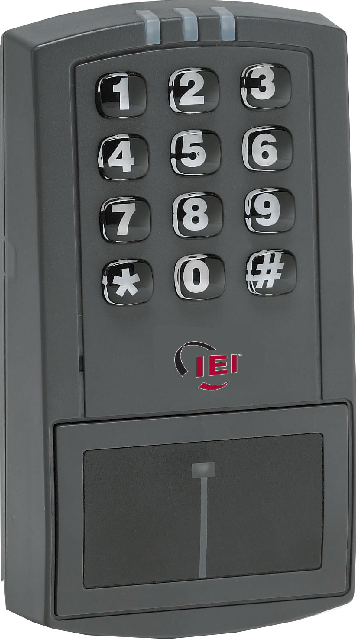 The IEI® prox.pad plus is a fully integrated single door access system with advanced capabilities for networking up to 32 doors per site. This latest addition to the IEI Access System product line allows for diverse network application solutions when using Hub Manager Professional and Secure Ethernet Gateway. Feel free to contact Cory T. Knight or any of our south Florida alarm systems experts today at (954) 652-0733, or click here to contact us via e-mail. Fact: Security Systems Reduce Burglaries. Homes without security systems are about 3 times more likely to be broken into than those protected with security systems. Businesses without alarm systems are 4.5 times more likely to be burglarized than commercial locations with electronic security in place. Losses due to burglary average $400.00 less in residences with security systems than for a residence without security systems. The obvious decision here is, you need an alarm system and you need one from the Florida alarm security experts at CTK INVESTIGATIONS, LLC. To sleep soundly, you need peace of mind. You need to know that what you value most, your home and your family, are safe and secure. The statistics should be convincing enough. The facts are in, security systems are effective in preventing loss of life and protecting property. Like millions of others, you’ve realized that your peace of mind is what matters the most, and are considering purchasing a home security system. Smart move! Your home and your loved ones are, after all, your most precious assets, and a home security system is one of the most important investments you’ll ever make. Trouble is, the decision can be overwhelming—especially if you have a lot of basic questions! What do I need? How do these systems work? What is that central monitoring station anyway? Will my pet set off the alarm? Relax. The Florida alarm systems experts at CTK INVESTIGATIONS, LLC, can help. Our professional sales staff can answer some of the most commonly asked questions and concerns voiced by homeowners like you. Feel free to contact Cory T. Knight or any of our south Florida alarm systems experts today at (954) 652-0733, or click here to contact us via e-mail. As a business owner, you are constantly challenged to detect and address corporate vulnerabilities, as well as protect your employees, your property and your investment. Whether you are in charge of a lumber yard, financial institution, transportation warehouse, attorney office, or chain of retail stores, CTK INVESTIGATIONS, LLC will provide you with customized, cost-effective protection and seamless integration for any application. The threat of burglary and robbery are always present. When you lock up for the night and your staff goes home, the total security solution provided by CTK INVESTIGATIONS, LLC will ensure that your facility is protected. Feel free to contact Cory T. Knight or any of our south Florida alarm systems experts today at (954) 652-0733, or click here to contact us via e-mail. 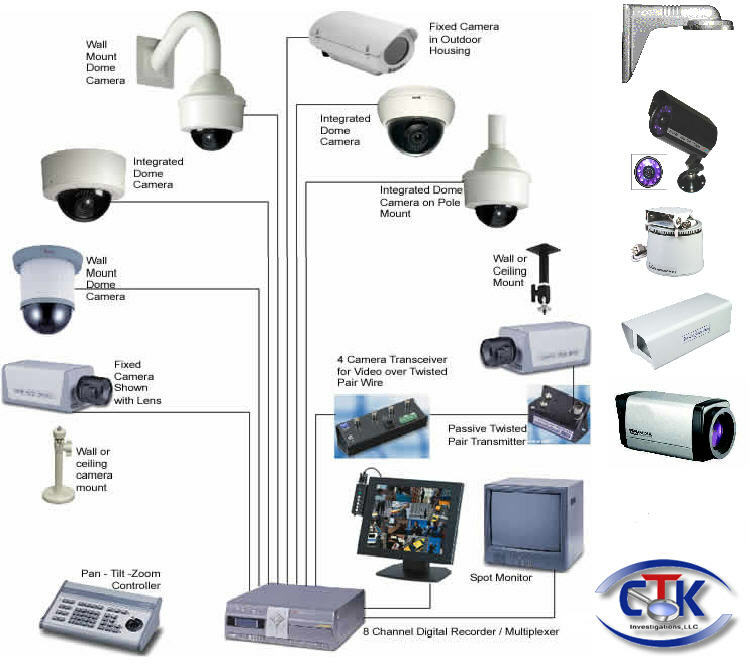 CTK INVESTIGATIONS, LLC specializes and excels in the design and installation of CCTV (Closed Circuit Television) systems. Our Florida CCTV experts are standing by to answer any CCTV questions that you may have. It has become commonplace to utilize video security in all aspects of everyday life. From preventing burglary and employee theft to simply making sure your kids are safe, there are surveillance solutions to fit every need. And with the prominence and availability of high-speed internet connectivity, remote monitoring and playback of video has become affordable and reliable from anywhere in the world. CTK INVESTIGATIONS, LLC offers a wide array of products that will exceed all of your needs, expectations AND most importantly, stay within your budget. We offer investigative surveillance, computer monitoring surveillance, home surveillance, office surveillance, and many other options for keeping an eye on your family, and your business. Feel free to contact Cory T. Knight or any of our south Florida alarm systems experts today at (954) 652-0733, or click here to contact us via e-mail. 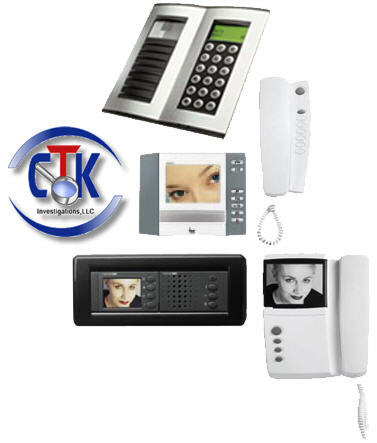 In addition to our extensive CCTV solutions, CTK INVESTIGATIONS, LLC can also customize central intercom and/or audio systems for your home or business. Coupled with our video surveillance solutions, we can make it possible for you to see AND hear who is at the door before you even open it. You can also enjoy the soothing sounds of music throughout your entire home or business. For added convenience and security, some systems offer the capability of remote door unlock, similar to the systems found in some apartments and commercial businesses. The system can alert you via a tone when someone rings the doorbell, allows you to speak to the person from anywhere inside the home or business, and then release the door lock from any of the remote interior station locations. CTK INVESTIGATIONS, LLC can customize an audio solution to your specific needs. They can make your busy life a little less hectic and most importantly, safer. Contact CTK INVESTIGATIONS, LLC today to discuss your Florida commercial audio system and your Florida intercom system needs. Feel free to contact Cory T. Knight today to discuss our Access Control Systems, our Commercial Alarm Systems, Residential Alarm Systems, Alarm Installations, Prox Readers, CCTV design and installation, Hidden Cameras, Covert Cameras, Swipe Card Systems, Remote Surveillance Systems, DVR recording, Diigital Video Recorders, Multiplexers, Quads, Power Supplies, Mounts, Commercial Intercom Systems, Home Intercom Systems, Home Audio Systems, and many other security camera needs.